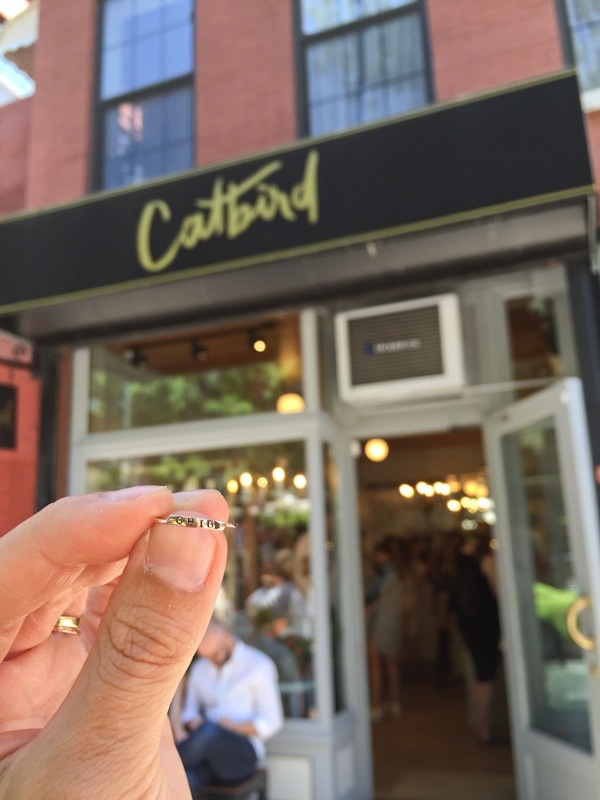 I finally found a jewelry store I love – Catbird in Williamsburg NYC. Being a bit of a tomboy, I’m actually not super into jewelry in general. And then I’m pretty picky about what I like. Layer in having an (allergic?) reaction to fake jewelry, and yea…I’m challenged in the jewelry department. Lol! But this is why Catbird is perfect for me. Simple, dainty, designs you can dress up or down. A little goes a long way, so I can invest in something solid gold that I can wear repeatedly. I prefer to do this over buying many base-metal accessories. And I sort of have to thanks to my sensitive skin. And long time readers may remember when I used to make and sell my own jewelry line. So, I extra love supporting small businesses and independent designers. And it’s great how Catbird sources their materials responsibly. The original reason I was in Williamsburg was to hit up Pies & Thighs with friends. 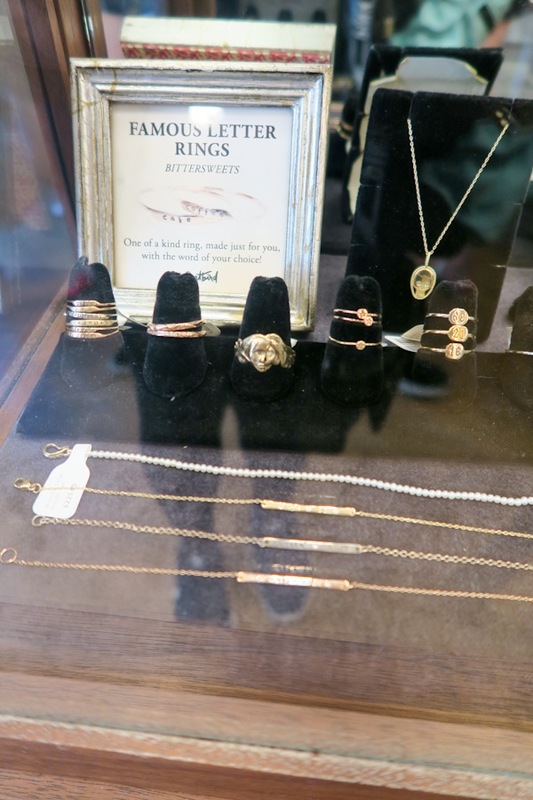 But I also remembered my Pound instructor, Joyce, had mentioned a super cute jewelry store in Williamsburg. I’m 99% sure it was Catbird. Apparently the store is quite famous, but I hadn’t heard of them until Joyce mentioned getting her earrings there. It seemed like the perfect time to swing by since I’d already be in the area. 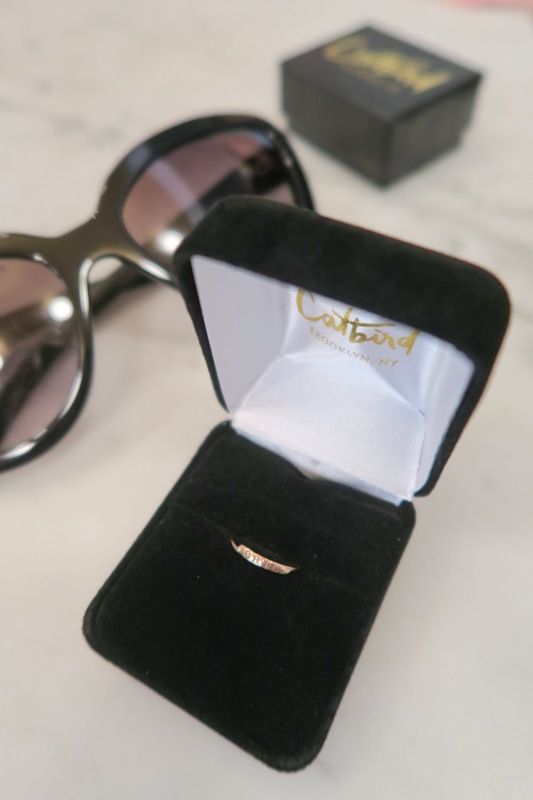 Before heading to Williamsburg for biscuits and chicken, I visited the Catbird web site to see what kinds of jewelry they offered. I was more than thrilled when I learned they had solid gold jewelry in beautiful, minimalist designs. They were so me! I picked out a couple things to check out in person and settled on a Famous Letter Ring by Bittersweets NY after visiting the store in person. As a nod to The Chic Life, I had “CHIC” stamped into a solid rose gold ring. Since the ring was being custom-made, I’d have to wait several days to get it. Instead of leaving empty-handed, I also spotted a necklace that I knew would be a winner for me – the Greco Lariat necklace by the Catbird team. I’ve worn this almost every day since getting it and am loving it! The team was super nice and helpful in making sure I had the right size for my ring order and evening sizing some other fingers for future stacking ring purchases. Thanks for all your help, Adrienne! Fast forward a few days, and my custom rose gold “chic” ring was ready to pick up! I could have opted for delivery for $11, but who wouldn’t want to visit Williamsburg again? It’s such a great place to hang out, and there are so many neat coffee shops and restaurants to enjoy. In fact, I did make another afternoon of it with a delicious lunch, park in a coffee shop blog break, and stroll through the park. More on this next time.